After marinating in the praises of After Laughter for a few weeks, Paramore lead singer Hayley Williams has written a lengthy thank you note to the band’s fanbase for their warm reception of the new album. The note was posted on Instagram yesterday, and also thanks band members Taylor York and Zac Farro. Paramore was one of the only emo bands that made it out of 2007, maturing their sound and surviving a number of lineup changes. A major change came in 2010 when Josh and Zac Farro left the group in a nasty spat, then another in 2015 with bassist Jeremy Davis’s departure. Davis promptly began a legal battle with the band—then consisting of only Williams and York—claiming to own a part of Paramore as an entity and therefore be entitled to revenue the band receives, despite his no longer being a part of the group. Williams didn’t skimp on praise of York, whom she calls “a musical mad scientist.” She explains that he “spearheaded the creative process and brought us all to new levels of creativity and artistic challenge.” She also notes that critics have compared his songwriting abilities to the likes of Lindsey Buckingham. As Williams’s letter suggests, After Laughter is certainly something to be proud of. 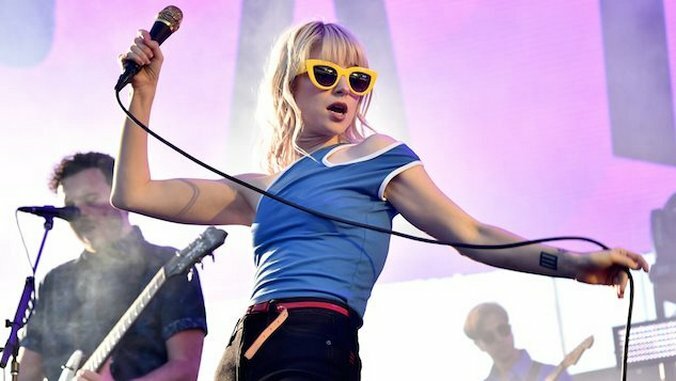 Paramore has done a lot of growing since Warped Tour in 2004, and their fans have, too—even though we know you still freak out when you hear the “Misery Business” guitar riff. You can click through the entirety of the letter below, and read Paste’s After Laughter review here. been waiting for the right time to post these thoughts on After Laughter. it's taken me about this long to truly let go [of the songs we made] ?????????? see you all so soon.